An interactive pipeline and instrumentation diagram (P&ID) by WIKA USA simplifies the evaluation and selection process for the best temperature, pressure, and level measuring solutions for your hydroprocessing applications. 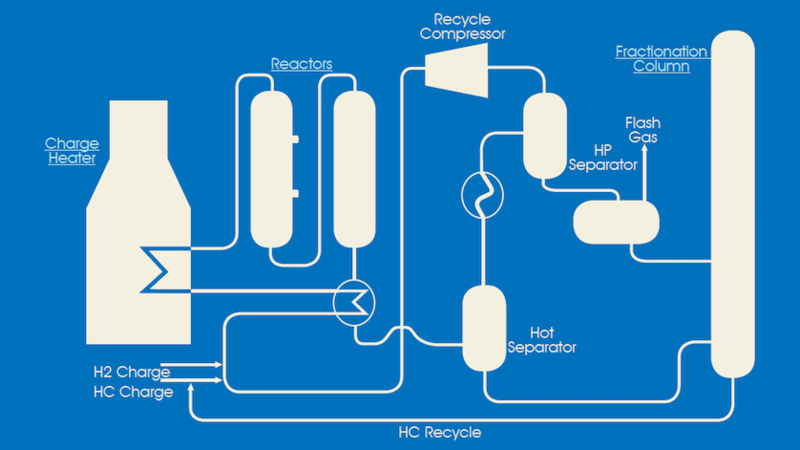 A couple of clicks on the diagram take you to specific products suitable for each particular hydrocracking application. Of the many processes WIKA’s systems measure and monitor, hydrocracking arguably has some of the harshest working conditions of any industrial processes. Instruments for oil & gas processes must be able to withstand the extremely high temperatures and pressures, as well as corrosive media of charge heaters, reactors, and fractionation columns. To make it easier for hydroprocessing customers to find the products they need, WIKA has put together an interactive pipeline and instrumentation diagram (P&ID). This webpage helps you find the just-right solution for temperature and flow measurements for a fractionation column, or the ideal temperature and pressure monitoring instrumentation for a reactor or charge heater. Just click on the process name in the P&ID, and a list of measurement types will pop up. Another click – this time on the option for which you want more information – takes you to the features and specifications page of that specific product. No more extensive searches. No more long lists of results and product pages to wade through. Two clicks are all it takes to find the information you need. For more than 70 years, WIKA has designed and manufactured innovative measurement solutions to meet the needs of our refinery customers. Now with WIKA’s new interactive pipeline and instrumentation diagram, you can easily find what measuring systems your hydroprocessing plant needs.